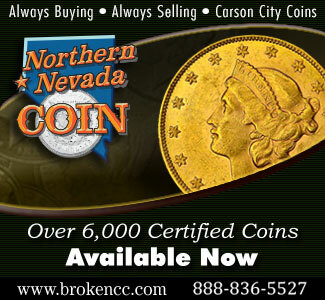 Home Coins Collecting Strategies Why Are 1943 Copper and 1944 Steel Lincoln Cent Errors So Valuable? For CoinWeek by Greg Reynolds….. Although 1909-S VDB and 1914-D pennies are often thought of as the most important Lincoln cents, the most valuable Lincoln cent errors; ‘cents’ are the off-metal errors struck in 1943 and 1944, which relate to U.S. involvement in World War II. 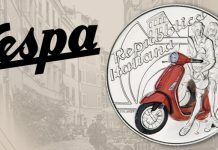 There will be an extensive offering of 1943 coppers and 1944 steel cents in the upcoming FUN auction by Heritage in Tampa during January 2016. The star of the group is the finest of two known 1944-S Lincoln cents in steel, which is PCGS graded MS-66. By ‘most valuable,’ I mean that such an off-metal Lincoln cent errors is more valuable in a given grade. A ‘MS-63’ grade 1943 copper or 1944 steel is worth much more than any regular ‘MS-63’ grade Lincoln Wheat cent. This same 1944-S brought $373,750 when auctioned on July 31, 2008, at an ANA Convention. It was then NGC graded as MS-66. This realization is an auction record for any kind of Lincoln cent or cent error. The Simpson 1943-D copper cent traded privately for about $1.7 million in 2010. Excepting that unique 1943-D copper cent, a bidder in the upcoming FUN auction could compete to assemble a set of five of the six major World War II penny errors: 1943 copper, 1943-S copper, 1944 steel, 1944-D steel and 1944-S steel. Indeed, there are multiple Philadelphia Mint 1943 copper and 1944 steel cent errors in this one auction. Because much copper was required for military purposes, it was decided that the one cent coins (pennies) of 1943 would not contain any copper. They were specified to be zinc-coated steel. For several reasons, this metallic composition was not planned for 1944 cents. It was unstable and steel cents were unsuitable for use in most machines that accepted coins. Also, members of the general public tended to dislike 1943 steel cents. The copper planchets used in 1943 were likely to have been leftover from 1942 or possibly earmarked for 1944 cents. 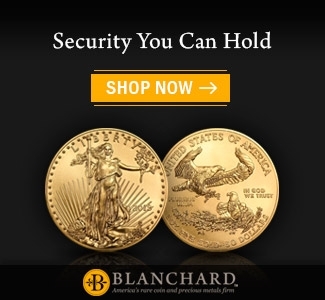 A planchet is a prepared blank, a round piece of metal that has been crafted to be transformed into a coin while in a coining press where obverse and reverse dies forcefully impart design elements. The steel planchets used in 1944 were almost certainly leftover from 1943. These are not wrong denomination errors; some steel planchets for U.S. one-cent coins were used in 1944 or very late in 1943 with ‘1944’ dies. An error made with a correct denomination planchet is closer to being a regular issue coin than an error made with a wrong denomination planchet. There are varieties of wrong denomination errors that are extremely rare, more so than 1943 coppers, though they are nowhere near as valuable as 1943 coppers. Why Are These Lincoln Cent Errors So Valuable? It is curious that 1943 copper and 1944 steel cents are extremely valuable. At all three U.S. Mints then in operation, almost five hundred million steel cents were minted in 1943 and more than two billion copper Lincoln cents in 1944. I am aware of just one instance of anther Lincoln cent errors from the 1940s selling for more than $25,000 at auction, and that piece is particularly distinctive and is likely to be unique. It is a 1943 Lincoln struck over a one centavo coin of Cuba. In this case, Lincoln cent dies were struck on an existing Cuban coin such that elements from the designs of both coins became very much visible on the piece. As part of the “Geyer Family Collection,” this 1943 ‘Lincoln cent’ over Cuban centavo brought $38,187.50 in November 2013. I had discussed it in an auction preview. 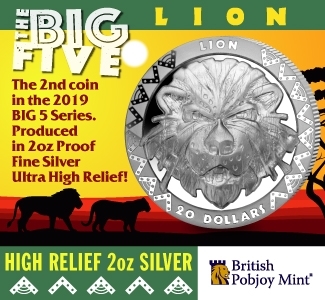 That price was considered extremely strong at the time, though understandable as 20th century U.S. coins are rarely ‘struck over’ already minted foreign coins. The exact same error, however, in the same PCGS holder, with the same MS-62,grade, earlier realized $10,925 in the FUN auction of January 2006, when markets for rare U.S. coins were booming. This Cuban-U.S. Lincoln ‘cent’ is an exception. A 1943 Lincoln ‘cent’ struck on a blank foreign planchet or on a U.S. dime planchet would not be likely to sell for as much as $25,000. In the same auction of the Geyer Collection, a 1943 Lincoln ‘cent’ stuck on a dime planchet brought $15,275, a very strong price. Also in the sale of the Geyer Collection in 2013, a Philadelphia Mint, PCGS graded MS-62 1944 Lincoln ‘cent’ struck on a Philippines five centavo planchet went for $6,462.50. The prescribed alloy of such Philippines coins is 65% copper, 23% zinc and 12% nickel. These have a neat off-white appearance, and the just mentioned piece is more intriguing than 1944 steel cents. Other than relatively low quality, Philadelphia Mint 1944 steel cents and pieces that are severely damaged, all U.S. 1943 coppers and 1944 steels are currently worth more than than $30,000 each. Those with ‘mint state’ grades tend to be worth much more than $70,000 each. A substantial percentage of surviving 1944 steel cents in total, from all three mints, have significant problems, including some of those that have received numerical grades. 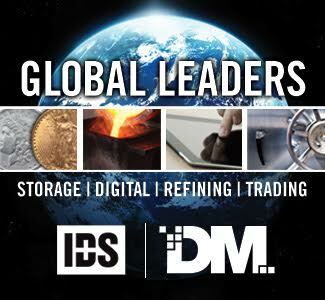 Allowances are made because zinc-coated steel tends to be an unstable alloy, which may decay very fast, and quite a few 1944 steel cents have been mis-treated or improperly stored by past owners. Any 1944 steel with problems is worth much more than any regular issue Lincoln cent with analogous problems. A corroded or apparently chemically altered 1909-S VDB cent is not worth more than $5,000! A Philadelphia Mint 1943 copper has probably sold privately for more than $100,000. A 1943-S copper reportedly traded for $1 million, and the already mentioned unique 1943-D for about $1.7 million. Those U.S. Mint Errors that are clearly not coins would never command such prices, either would rare die varieties of any 20th century coins. My theory is that these are so valuable because collectors who seek them regard 1943 coppers and 1944 steel cents as distinct issues of true coins, not merely errors, and not just varieties. In opposition to my theory, it could be emphasized that the Geyer Collection ‘Walker on steel cent planchet’ struck brought $44,062.50 in November 2013. That piece is one of two known steel pieces struck with Walking Liberty half dollar dies. 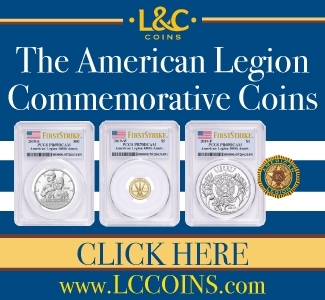 Much of its value, however, stems from its association with 1943 steel cents, which have been made famous by those who regard 1944 steel cents as coins. In the same sale of the Geyer Collection, a non-gradable 1943 copper, with a nasty gash on Lincoln’s head, brought $88,125. The just mentioned Walker in steel was PCGS graded as MS-64. I contend that the 1943 copper is worth far more than the ‘1943’ Walker on a steel planchet because many collectors regard the 1943 copper as a coin and the steel Walker as an error that is definitely not a coin. After all, the just mentioned Geyer 1943 Lincoln is one of more than ten 1943 Philadelphia Mint coppers. This steel Walker is one of two known and is graded as MS-64. If relevant buyers thought a steel Walker was a coin, it would be worth more than a million dollars. 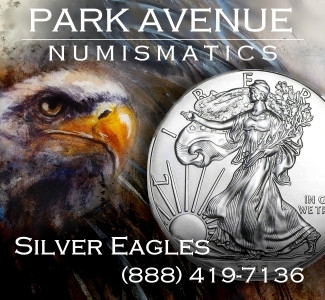 Walking Liberty half dollars are very popular. Off-metal strikings, from the middle of the 20th century, as a class are not rare. Other than 1943 coppers and 1944 steels, however, off-metal strikings from this time period would be “wrong-denomination” errors, patterns or experimental pieces. There are many types of wrong denomination errors that are also off-metal errors. 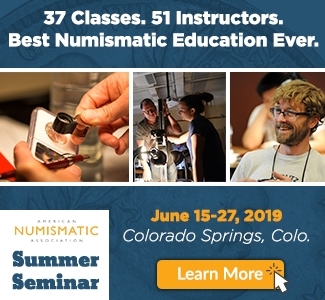 The most widely known are: quarter dies struck on cent planchets, quarter dies on (five cent) nickel planchets, five cent nickel dies on dime planchets, and nickels on cent planchets. 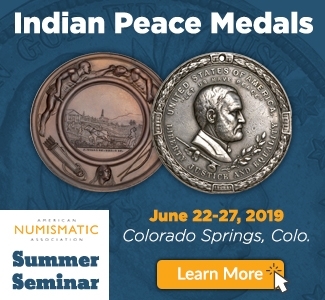 Indian cents struck in nickel and Buffalo nickels struck in copper are especially neat. 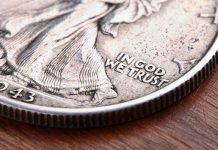 Generally, there is a consensus that wrong-denomination strikings are clearly not coins. From 1837 to 1964, dimes, quarters and half dollars were all specified to be 90% silver. 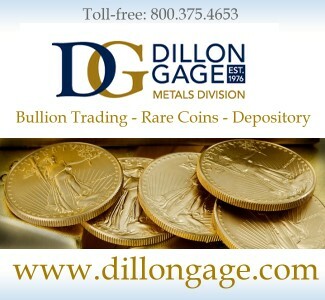 If a ‘dime’ was accidentally struck in copper or nickel, then it is a mistake, not a true dime. A half dollar struck on a blank that was prepared to become a quarter would not contain enough silver to meet the minimum specifications of a half dollar. So, such a ‘half dollar on quarter’ is not a half dollar and not a quarter; it is a mistake involving half dollar dies and a quarter planchet (prepared blank). Is there a sold counter-argument to my point here? For example, would any expert maintain that a “half dollar” struck on a cent planchet is a coin? 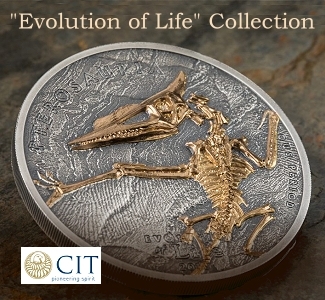 The legal, historical and cultural issues regarding the definition of a coin are beside the theme of this discussion. The collectors who are willing and able to pay large sums for 1943 coppers and 1944 steel cents regard them primarily as coins, off-metal alternatives, rather than as pieces that should have been rejected. 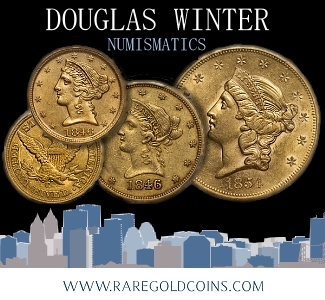 Evidence indicates that these pieces satisfy the definitions of a coin employed by the collectors who are buying them, whatever those definitions might be. Clearly, most such buyers do not regard 1944 steel cents as fantasies, just errors or as a variety of 1944 copper cents. They think of regular 1944 coppers and 1944 steel cents as two different issues of coins. 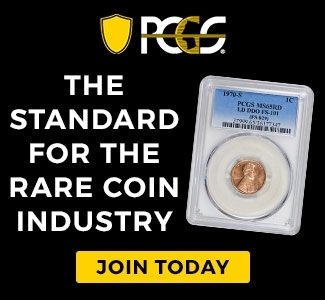 Strong evidence for my theory is that the PCGS price guide, the CAC population report and the NGC Coin Explorer all list 1943 coppers and 1944 steel cents as ‘coins,’ not as errors or experimental pieces. Indeed, they are listed with regular issues as if they are regular issues that are required for complete sets of Lincoln cents ‘by date’ (and U.S. Mint location). 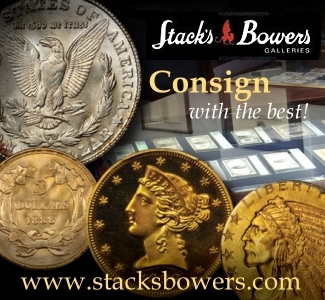 I am not suggesting that collectors should or should not regard these as major rarities or as true coins. My opinions about the definition of a coin or the importance of such off-metal Lincolns are not being expressed here. 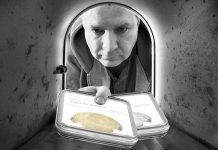 I am not here theorizing that 1943 coppers and 1944 steel cents are true coins; I am theorizing that the collectors who are willing and able to pay more than $50,000 each for them regard them as true coins, not just as errors or varieties. Prevailing values for these would not otherwise be viable in the context of current market realities. It is pertinent that almost all surviving 1943 coppers and 1944 steel cents were found in circulation or in mint-sealed bags that were distributed as coins to circulate. They were not made for prominent collectors. Undoubtedly, people spent them and merchants accepted them as coins, not as curiosities. When Scott Travers prepared the 21st edition of his Insider’s Guide to Coin Values, the decision was made to place a 1943 copper cent on the cover, as this is a ‘rare coin’ that is nevertheless familiar to the general public. The 1943 and 1943-S coppers are rarities that really circulated in modern times. I am cited in this book as a provider of information on 1943 coppers and 1944 steel cents (NY: Random House, 2012). There are probably 12 or 13 Philadelphia Mint copper Lincolns from 1943 in existence. The highest certified, not necessarily the finest known, was ANACS graded MS-61 then later PCGS graded MS-61. It is now PCGS graded ‘MS-62’ and remains in Simpson’s collection. An additional Simpson 1943 copper is in this sale. 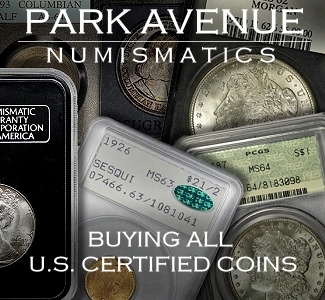 It is PCGS graded as AU-58 and is CAC approved. 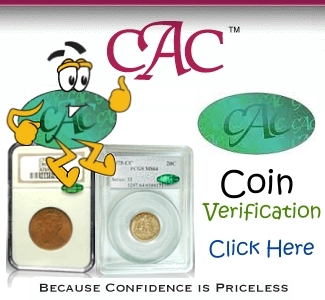 In May 2014, Legend auctioned a PCGS graded AU-55, and CAC approved, 1943 copper for $329,000. Only one 1943 Denver Mint copper cent is known to exist. As I reported in 2010, Simpson bought it privately as part of a deal that included multiple coins. Its price then was imputed to be $1.7 million. My impression is that the unique 1943-D was NGC graded MS-64 in 1996 and ‘crossed’ into a PCGS holder, with the same MS-64 grade, prior to selling for $212,750 in an auction by the Goldbergs in February 2003. That $212,750 result was the auction record for a Lincoln cent until the already mentioned 1944-S Steel Cent sold for $373,750 during a Platinum Night event on July 31, 2008. Perhaps six to eight 1943-S copper cents survive. Simpson’s piece is the highest certified. When the Goldbergs auctioned the Simpson coin in 2000, years before Simpson owned it, this 1943-S copper was NGC graded as MS-61. It is now PCGS graded as MS-62. In the January 2016 FUN auction, there is a PCGS graded AU-55 1943-S copper cent. The cataloguer reveals that the consignor has had this piece for more than twenty-five years and that it has only recently been submitted to PCGS. In August 2008, I covered the private sale at an ANA Convention of the Kenneth Wing 1943-S, which is NGC graded as AU-53. (Words in blue may be clicked to access past articles relating to items mentions or related subjects.) In November 2013, the Geyer Collection, PCGS graded VF-35 1943-S realized $141,000. In the upcoming FUN auction, there are three Philadelphia Mint 1944 steel cents. These are all graded by PCGS, as MS-64, MS-63, and MS-61, respectively. All three are or were owned by Bob Simpson. The PCGS graded MS-63, Simpson 1944 has a CAC sticker. As of November 24, 2015, a reputable online source suggests that this PCGS graded MS-64 1944 is the same steel cent that that was offered in the Stack’s-Bowers Rarities Night event of January 24, 2013, lot #13262. In my view, the plates do not match, and these are probably different pieces. I attended that auction on January 24, 2013. 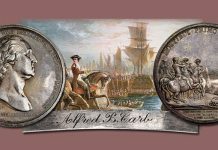 The PCGS graded MS-64 1944 steel to be offered January 2016, though, does match images on PCGS CoinFacts, serial #18523968. On January 24, 2013, that PCGS graded MS-64 1944 steel cent did not sell and a commitment to pay at least $199,750 would probably have been required to acquire it at that time. I am not commenting on it. 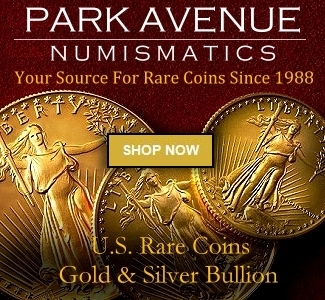 That same 1944 steel cent did sell in the Stack’s-Bowers Rarities Night event of August 15, 2013, in Rosemont, for $158,625, an auction record for a 1944 Philadelphia Mint steel cent. The 1944-D steel cent in the 2016 FUN auction was consigned by Simpson. 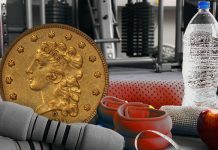 It is PCGS graded as MS-62 and CAC approved. I am not aware of a prior pedigree. In previous articles, I cited Tom Delorey and Rich Uhrich as figuring that seven 1944-D steel cents are known. My current estimate is nine. There are probably 25 to 35 Philadelphia Mint steel cents from 1944 in existence. Just two 1944 San Francisco Mint steels are known. The consignment by Bob Simpson of the PCGS graded MS-66 1944-S commands attention. The only other known 1944-S steel cent is in a PCGS genuine holder. I remember the Simpson 1944-S from 2008. Of all 1943 coppers and 1944 steels that survive, this 1944-S is the only gem. As steel cents are for more apt to corrode and otherwise transform in a few decades than copper cents, the surface quality of the Simpson 1944-S is astonishing. This is a vibrant and really cool rarity. Collectors who are interested in 1943 coppers and 1944 steel cents may wish to consider Lincoln cents that were struck on dime planchets and Lincoln cents that were struck on planchets that were prepared for foreign coins. 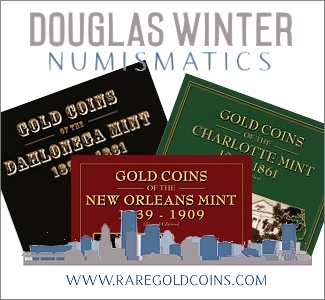 Mints in the United States have struck a wide assortment of coins for other nations. In many cases, alloys were employed that are noticeably different from alloys that were or are used for U.S. coinage. Errors struck with Lincoln cent dies in some of these ‘foreign’ alloys are often intriguing and entertaining. Anyone know where the 1915 Lincoln cent struck on a quarter eagle planchet is today ? It was owned by Col Green, then was offered to James Kelly for $200 per B.G. Johnson 1/3/1944 invoice on the Newman Numismatic Portal, then to J.V. McDermott per Pollock and has not been seen since. Supposedly a 1911 and a 1927 also exist. These are probably the only Lincoln cent errors as neat as the Simpson transitional sets. or more than twice as many coins in total. How was the figure of 500 million arrived at? I have a 1944s Lincoln penny that has a silver dime back. Lincoln side looks copper. Dime side looks silver and has a column which doesn’t look right….does anyone know about these? One was just sold for a lot of money. I believe $300,000. Laura: It’s very unlikely to be the same item. A dual-metal “coin” like the one described is almost always a novelty piece rather than a mint error. 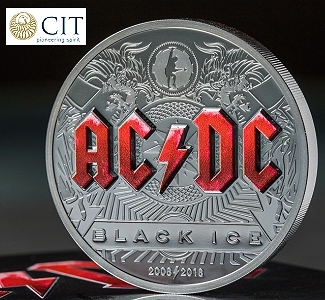 The metal stock used for coin production is generally uniform plus in addition the dies used are “keyed” so that it’s almost impossible to mix different denomination. However there have been very rare exceptions so a link to a source for the $300K sale would be helpful. If you look for “magician’s coins” you should be able to find lots of these at reasonable prices. I HAve a 1943 penny and would like to know if it has any value. I have a 1938 Lincoln wheat Penney that will stick to any magnet… And I’ve taken to a coin dealer that put it thew his xray machine and tested it for metals and its made of steel and zink. Just found this penney yesterday. 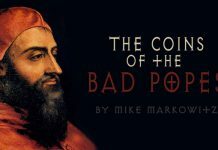 It’s a so-called magician’s coin made by cutting two normal cents in half sideways like an Oreo cookie, then swapping the pieces and fusing the two heads (or tails) sides together. They sell for a few bucks from novelty vendors. I have a 1944 D wheat penny with a couple things that are different from all that have seen and researched on the internet. For one, there is 2 different fonts on the 4’s. The first 4 is clearly different than the second. The second 4 has the appearance of all the other 1944 pennies ive viewed but the first 4 is definitely different. There is also a mark above the first 4. It doesn’t seem like it could be a mark from anything other than a press that may have had a piece of debris that got pressed and caused the mark. Double die , where did you get find it? I have 2 1944 pennies. I would like to know there vaule. Can someone give me some information. These are common wheat cents. Circulated condition = .015 each. I have Lincoln penny 1944 D copper, 1943 steel penny and Indian head penny 1905 steel. If the ’43 cents are steel and the ’44 ones are bronze, they’re ordinary circulation-strike coins from those years. The ’43s would be worth maybe 25¢ to a buck or two depending on condition. The ’44s are worth maybe a nickel unless they’re in almost brand-new shape. If you double-check the story, the coins that are worth bundles have the opposite compositions; i.e. 1943 pennies made of copper and 1944 ones made of steel. I have had a 1943 steel penny in my possession for several years now, no mint identification given. Can anybody tell me what the value of that coin is? Assuming it’s been in circulation, it’s worth anywhere from 25¢ to a couple of dollars depending on how worn it is. I have a 1943 D steel wheat penny in my possession and want to know if there is any vaule to it. My grandfather who died in 1976 collected coin and after looking at your website I looked through about a 3rd of the more than 600 wheat penny’s. In that 3rd there are roughly 27 = 1944 wheat penny’s, 2 = 1944D wheat penny’s , 1 = 1943D steel, and 1 = 1943 steel. Of course I only looked through half. None uncirculated but some in good condition some in not so good condition. If I had to guess probably 70 or 80 wheat penny’s of the 1943 to 1944 time frame (I would have to look at the other 2/3. None of them have ever been graded. I consider doing it but not sure of the cost. I have a 1944 D penney and it is not like any ive ever seen the date is surounded by impressions other objects and smaller lettering its as if the coin was pressed on a coin that was already pressed but its not one that looks like any i recognize. Can any one tell me what it is and how much it might b worth ? I do have some of 1943 , 1944 & more , what should I do to evaluate them ???? I have a copper wheat penny on one side and a liberty silver dime on the other… says its a 1944. Very nice but very thin. What is the value of this? It would sell for a few dollars as a novelty item. These are made by cutting two normal coins in half laterally (like taking one side off an Oreo cookie) and rejoining the mis-matched pieces. There’s tons of information available if you search for “1943 D cent”. The short story is that Denver struck a bit fewer than 218 million cents in 1943, so they’re not rare. In average condition, it might go for 25¢ to a dollar depending on how worn it is. Excess zinc plated steel blanks left over from 1943 were used to make Belgian 2 Franc coins as part of the liberation effort of that country during WW2. I have a penny that was struck on a dime planchet minted in 1964. Is there any chance it’s worth more than a few dollars? Also have a large half cent and a small half cent both minted in the mid 1820s. One of which is in excellent condition with a bluish tint to it, assuming it to be uncirculated. 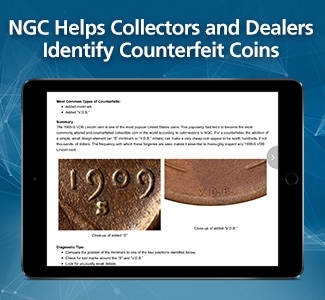 You should have the coin authenticated and certified by either PCGS or NGC. I have a 1943 steel penny. At first glance it looks rough to say the least. I had even thought it was scratched. I have horrible eyes, so very hard to tell. Long story short. I’ve looked at it with a magnifying lens and the scratches seem to be a finger print or crazy as this sounds tiny tiny words they look as if they are raised like the wheat stems. Is there a place or someone I may send a picture to help me figure out just exactly what this is. I have an uncirculated 1943 steel penny with 2 large R’s struck on the front. I cannot find any information on what the markings mean. What about the circulated ones? I have quite a bit of the 1943 P, 1943 D and 1943 without mint mark steel pennies…they were with a few copper pennies that you can tell someone was trying to make something out of them not sure if ammo or for jewelry. I have some pennies that have been i want to say filed down,maybe…that are Super thin as well as some with what looks like a ring of aluminum around them. They world war two ammo boxes that i found these in were also with many coins from around the world like India, Germany Canada etc. I want to leave my children something when I leave this life and for some reason I feel these coins hold a big part in the history of WW 2…when i look at some of these coins I see holes in a few sometimes I wonder if they belonged to a soldier that was is WW 2 and made coin jewelry for other soldiers to bring home as a souvenirs and or he was making ammo for them. There were also a few adult comic books mint condition still in sleeves and that is another reason why i do believe these belonged to a soldier. I want to be able to grade and sell most of these the rest if they do turn out to be the real 1943 steel cent pennies I will donate a set of them to the city that I found these in.Now I do say most of them are rusted looking so I know they are not mint condition but they could had been when put in the ammo boxes. Please help me to get where I can be to where these coins go to collectors that do care for the history of the United States. I will give one to the person that connects me with the people that graded Bob R Simpsons set.